As a women, all I wanted is to have a beautiful and flawless-looking skin without any scars, stretch marks, uneven skin tone, dehydrated or even ageing skin. I can easily cover my imperfection with nice clothes or make-up, but I can't lie that it such a nightmare for me to slowly see my skin were getting worse when I had not enough sleep, too much under the Sun, as well as bad eating habits. The most annoying skin problems on my body are scars and stretch marks. Due to my 'thin' layer of the skin, it makes the appearance of scars and stretch marks kinda visible. I have been switching up few products to get rid of those scars and stretch marks by using body scrubs, lotion, or essential oils. However I didn't notice much different, until I found Bio-Oil. 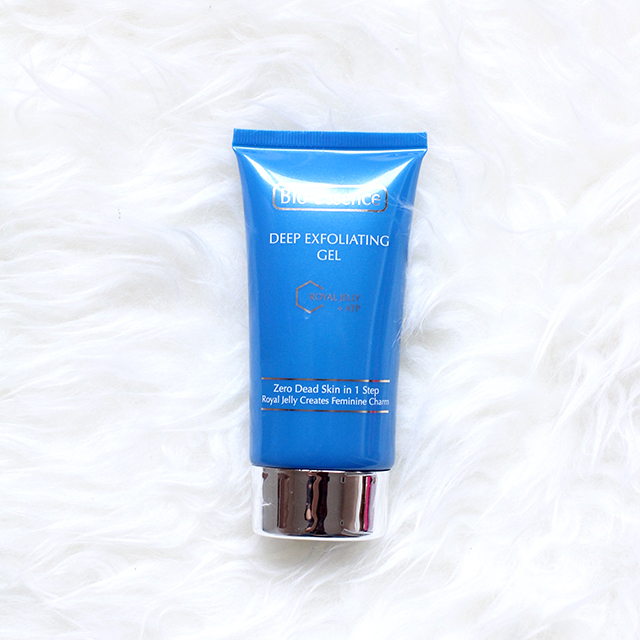 Helps to rejuvenate the skin, maintain the elasticity, evens the texture and the skin tones. Reduce the density of all the formulation, so it enhance the ability of the application and absorption of the main ingredients: vitamin A and E, as well as the natural plants oil, calenunda, lavender, rosemary, and chamomile oil. 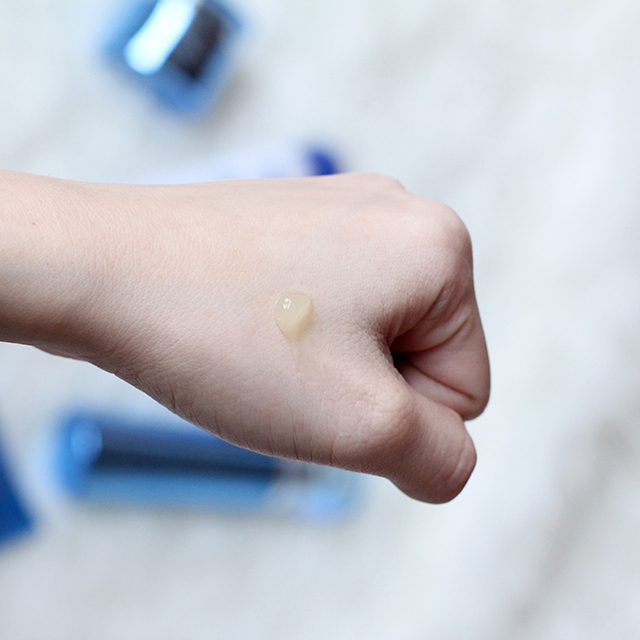 All the goodness inside Bio-Oil works perfectly in every skin types, even the sensitive ones. It also very safe to be applied onto the body, face and hair. 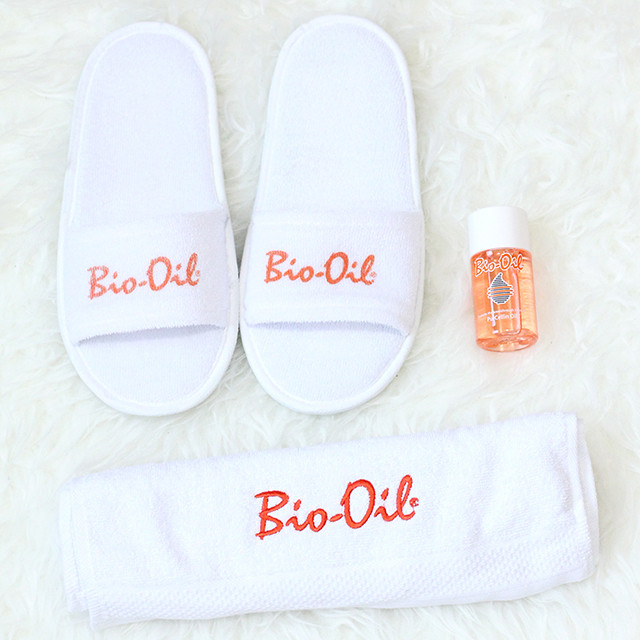 Apply Bio-Oil two times a day in the scars/stretch marks/uneven skin tone/ageing skin/dehydrated skin - in circular motion using the finger tips until the oil perfectly absorbed. Use in minimum three months, and remember to not use it on the injured skin. 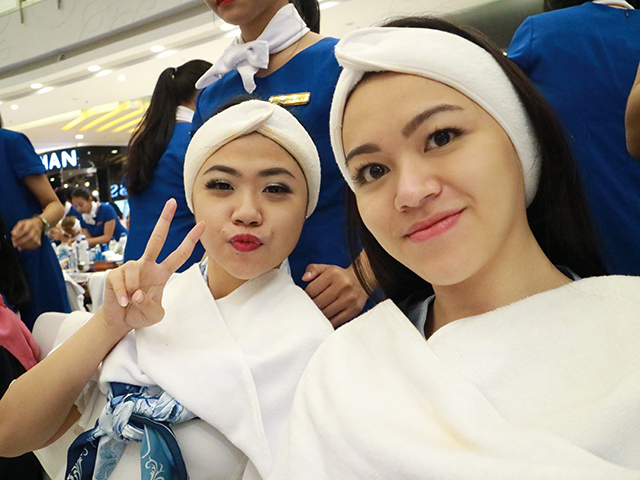 Attended "Mega Face Lifts V Face Challenge" by Bio-Essence and Clozette Indonesia at Central Park Mall last Saturday, November 19th 2016. 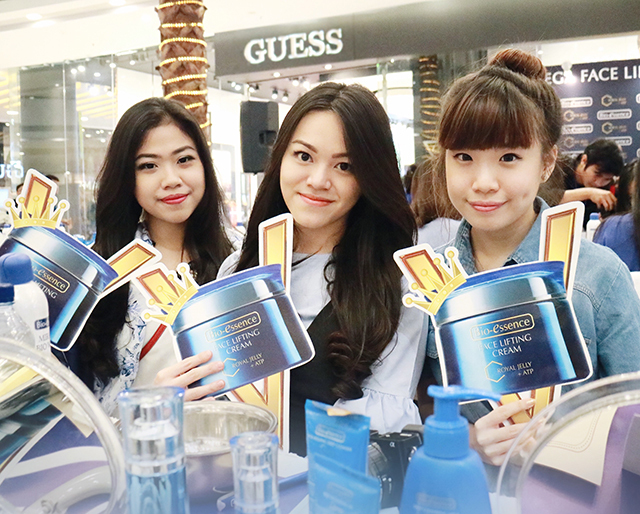 The event was held exactly at the atrium of Central Park Mall, so everyone can join experience the challenges too. 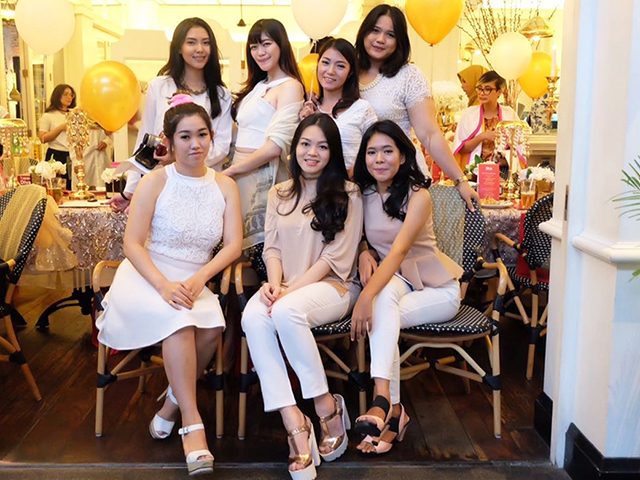 The event were having about 30 Clozetters and the special guest, Clozette Ambassador Michelle Hendra and Photographer Rachel Sutanto. They shared about "How to Create A Good Content in Social Media". Since they are renowned as a public figure and entertainer, of course they have to look good in every frames, to maintain a good content of their social media. Beside the 'angles-matter', their skincare routine also become a huge consideration. 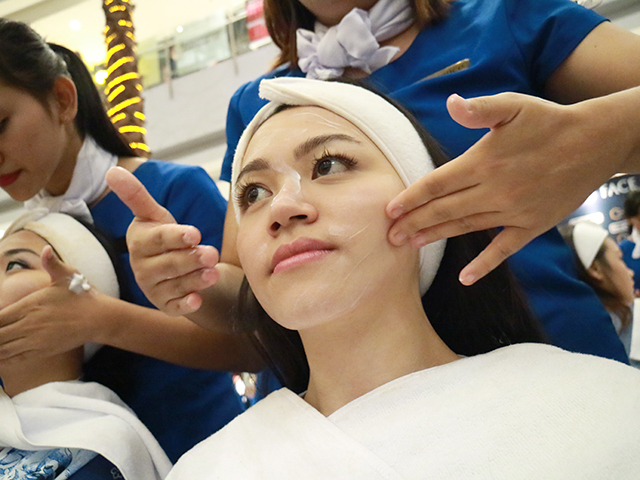 They were always look for a good skincare that could maintain the firmness and youthful looking of their face. And the good news is Bio-Essence now available in Indonesia. For those who are not familiar with Bio-Essence, its a well-known Singapore skincare products with its bio-energy technology and rare beauty compounds including Royal Jelly + ATP (Adenosine Triphosphate). 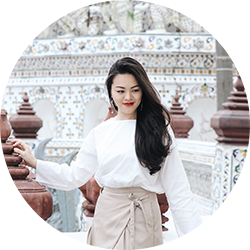 The highlight of their skincare product is the Face Lifting Cream with Royal Jelly + ATP, that has become number one Face Lifting Cream in Singapore for over ten years and could help to firm and shape V face to look younger. 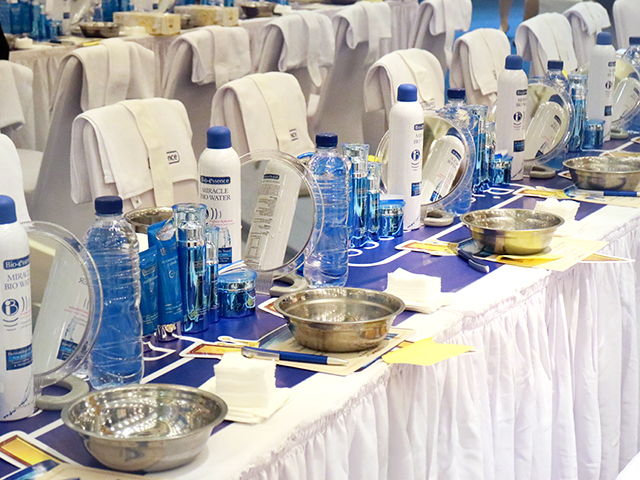 In this event, all the Clozetters and the guests could experience the "Mega Face Lift V Face Challenge" using Bio-Essence skin care products, including cleanser (Deep Exfoliating Gel/ Nourishing Deep Cleanser), Deep Nourishing Toner, Radiant Youth Essence, Face Lifting Cream, and Miracle Bio Water. All the steps were done by Bio-Essence beauty consultant. 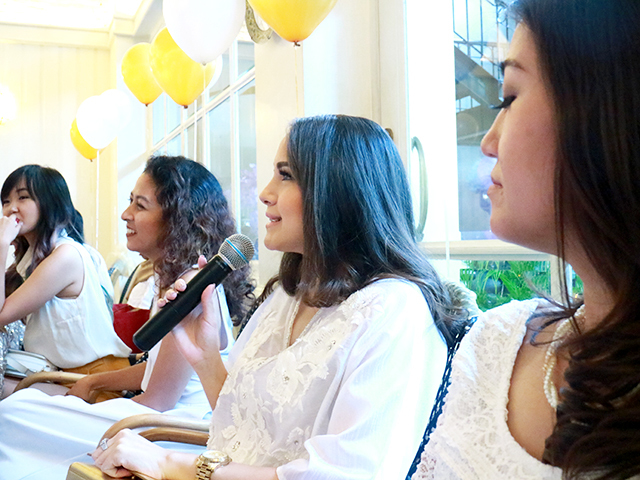 While applying the products onto our face, the consultant also explain the steps and the benefit of Bio-Essence products one by one. Firstly my consultant was applying the cleanser with a gentle massage to my skin to perfectly remove the dirts, sebum as well as makeup on my face. Followed with the toner and essence for the better absorption of the face lifting cream afterwards. Before applying the face lifting cream, the consultant was measuring my face from the below ear to the center of my lips, and its 12,5cm. Then she applied the face lifting cream onto my face and neck, with upwards massaging motion for about 5 minutes. Then we waited until 10 minutes to let the product absorbed and reacted to the skin. She warned me that there will be hot/cold sensation during this process. Some of the clozetters/guests were feeling hot on their face, but it does feel cool on my face. Its very refreshing and I can feel my face gets firm and lifted. After 10 minutes, we measured again, and my face was shrunk into 12cm. I can't believe it at first! My consultant said, the face shrunk due to the cleansing part that removes all the dirts and sebums on my face, making the texture a lot smoother and firm. But after using this face lifting cream in routine, the face will getting more firm, lifted and resembles the V shaped face. 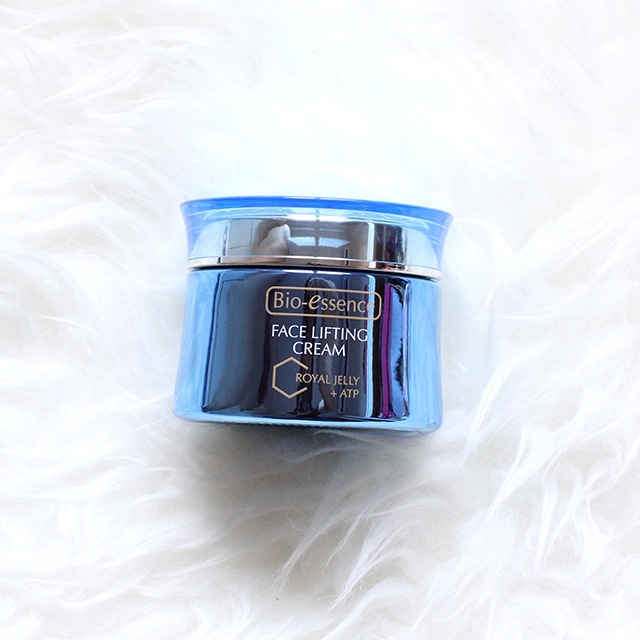 And luckily I got a whole package of Bio-Essence skincare products including the wonderful Face Lifting Cream (Royal Jelly + ATP) from Bio-Essence and Clozette Indonesia. 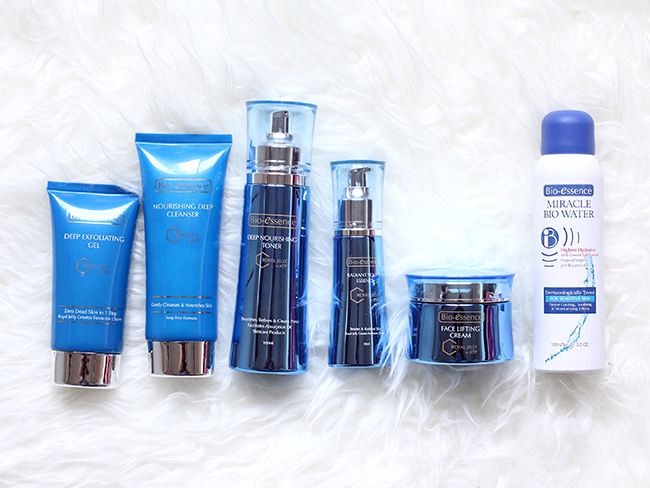 Go check my full Bio-Essence skincare product review in here. Don't foget to check out Bio-Essence Website or Instagram @bioessenceid for more beauty updates and tips to get the V shaped face. 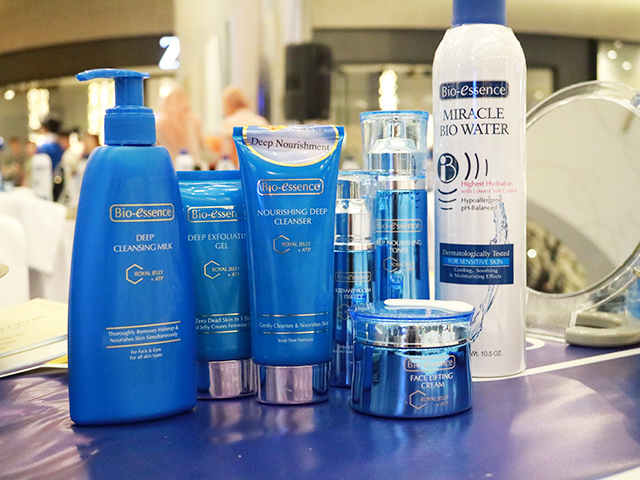 From the last event I attended with Bio-Essence, Mega Face Lift V Face Challenge at Central Park Mall a week ago, I got a whole package full of Bio-Essence skincare from the cleanser (Nourishing Deep Cleanser and Deep Exfoliating Gel) Deep Nourishing Toner, Radiant Youth Essence, Face Lifting Cream, and Miracle Bio Water. 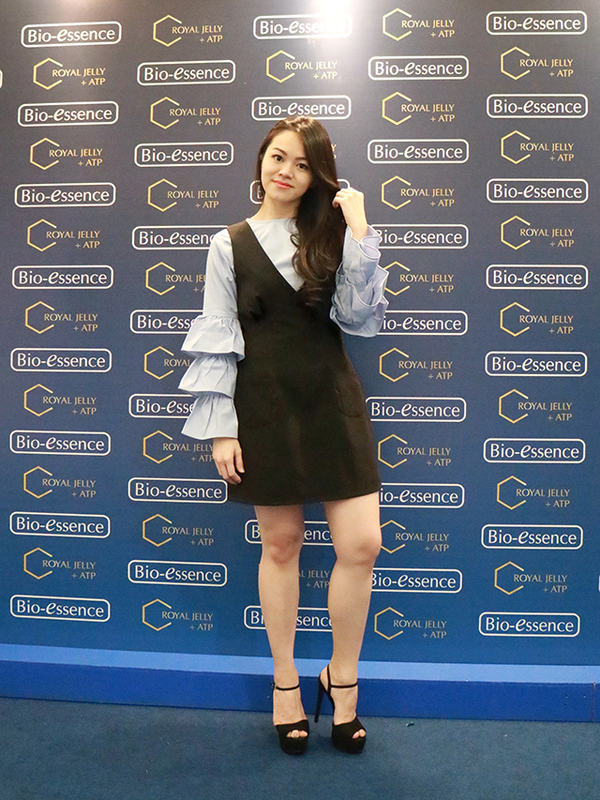 Bio-Essence is a Singapore brand, renowned with their bio-energy technology and rare beauty compounds including Royal Jelly + ATP (Adenosine Triphosphate). One of their best selling product is Face Lifting Cream RJ + ATP which is the number one face cream in Singapore for over ten years. Royal Jelly has a great ability to help reduce aging-spots and wrinkles, rejuvenate the skin cells, as well as nourished the skin for a better and younger looking. While ATP (Adenosine Triphosphate) helps the royal jelly to be absorbed perfectly onto the skin cells. So are you curious about its wonder to the skin? 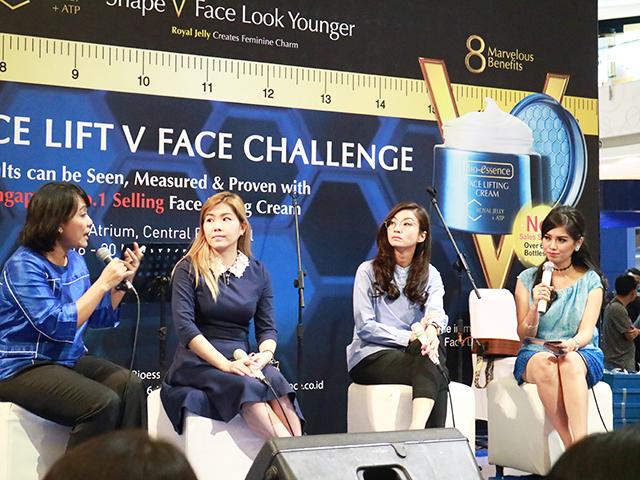 Let's keep reading to find out about the steps to to get V face using Bio-essence skincare product. From the left to right, Deep Exfoliating Gel, Nourishing Deep Cleanser, Deep Nourishing Toner, Radiant Youth Essence, Face Lifting Cream, Miracle Bio Water. This it the first step to cleanse the face. Even though its an exfoliator, I found this product is really gentle, its painless and doesn't make any redness to the skin. So its very safe to be used in daily basis. Ensure face and hands are dry, then apply adequate amount on the face and neck with some massage in circular motion until small flakes of dead skin and dirt appear. Finally rinse off with the water. 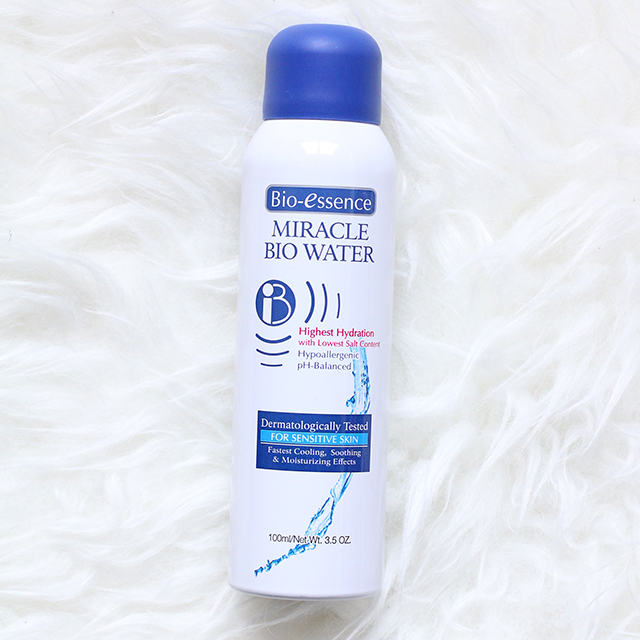 Still in the cleansing step, this Bio-Essence Nourishing Deep Cleanser is suitable for dry and normal skin. 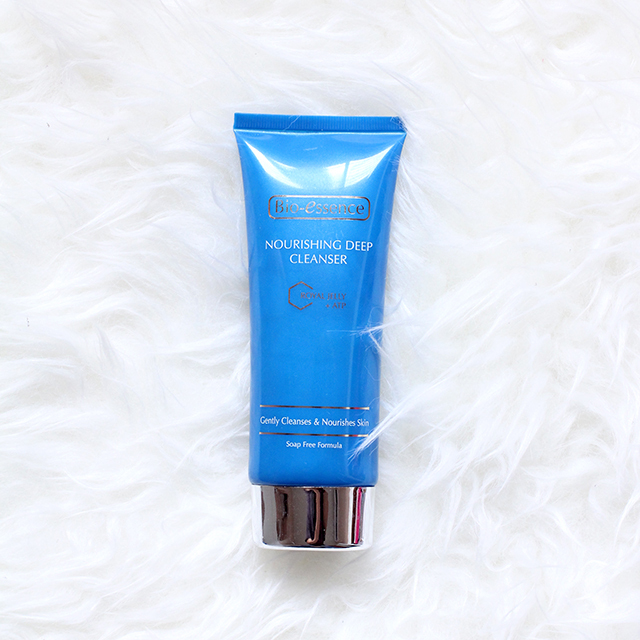 For those of you who has oily skin and combination skin, you can go for the foamy type of the cleanser from Bio-Essence. - Gently cleanse the face without making any dryness to the face. - There are tiny molecules that will totally cleanse the face and skin pores, to remove dirts and sebums from the pollution, sweat, and make-up products. - It has a nice and refreshing smells, also making the skin smooth after cleansing. 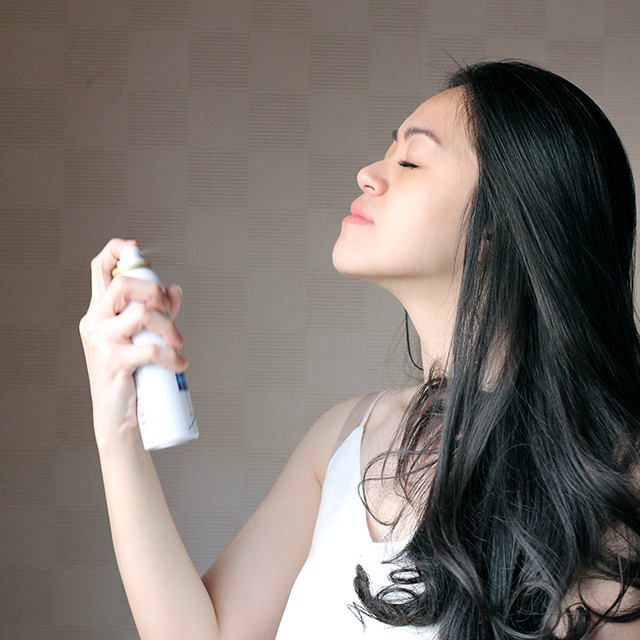 In the wet face and neck, spread the cleanser along with gentle massage. Then rinse it well. 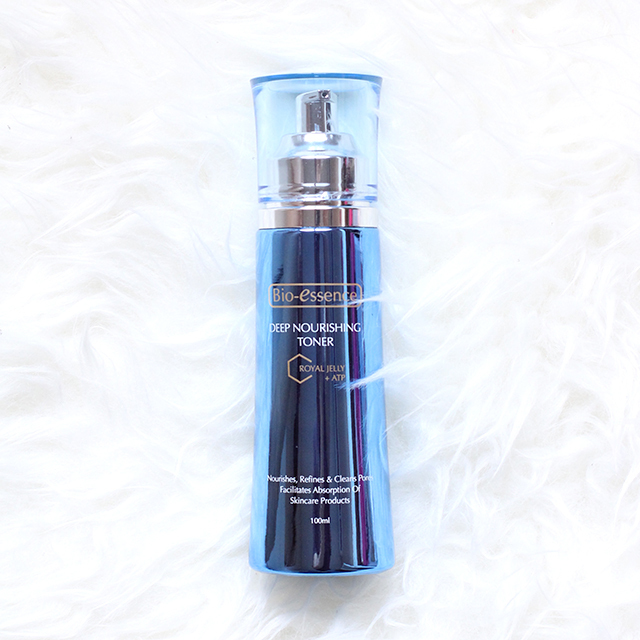 Apply this toner after the cleansing steps are done, it can be used for all skin types. 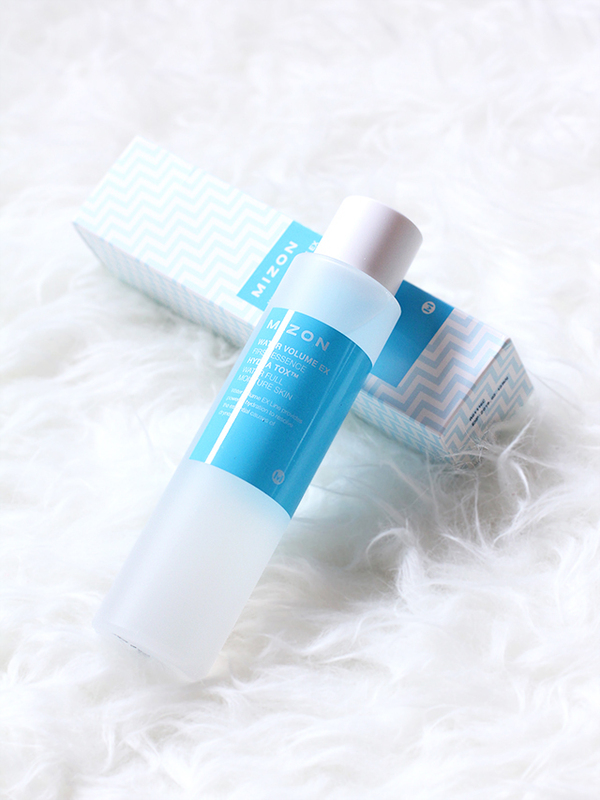 The texture of this toner is very lightweight and watery, it absorbed very well and leaves my skin smooth afterwards. I also love the smell, its very refreshing. 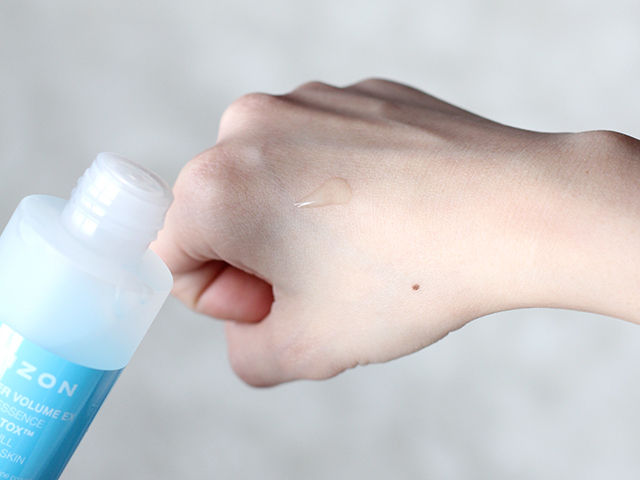 Tap amounts of the toner onto the face evenly with the fingers or cotton pad. 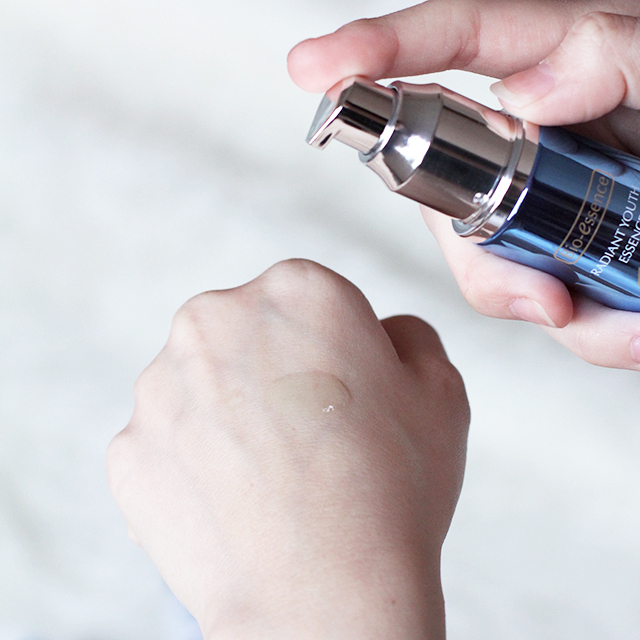 After the toner, its time to apply this Radiant Youth Essence, known as a serum. 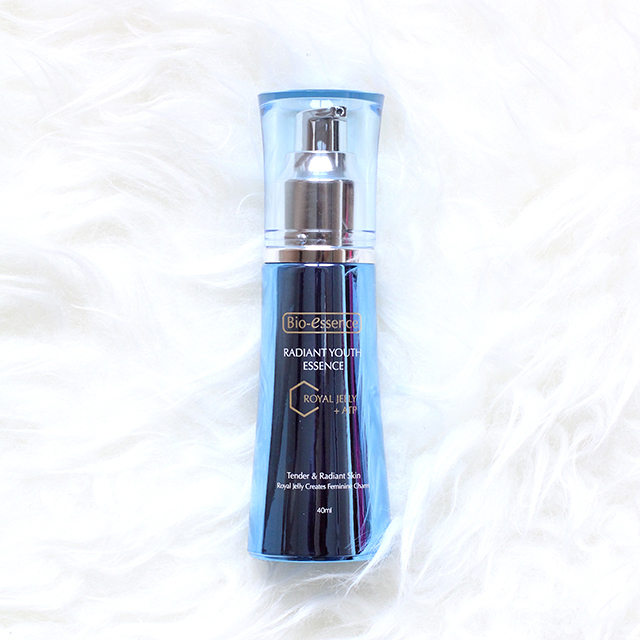 In only a drop of this goodness, it contains 95% of green tea extract, the powerful anti-oxidant components to freeze the youth. The texture is oily but after one minute applied onto the skin, the nutrition is absorbed well and leaves the skin oily-free finish, so I guess its suitable for all skin types. Use this two times a day with massage in circular motion, also can be used for hands and foots for brighter and flawless skin. This is the essential part to shape V face. For some people, they will feel some of discomfort like hot or cool sensation. Also making face become redness for a while, its believed as the reaction of the product. But it works well for me, It feels cool in my face at first and slowly fades after awhile. And after using this few times in daily basis, my face become used to it and it feels less cool, just like refreshed and 'minty' sensation. 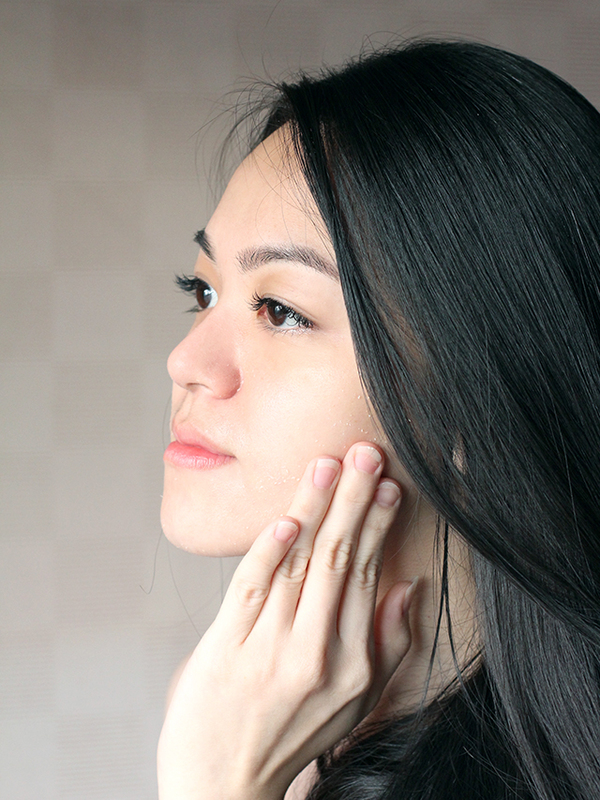 After all the cleansing, toning and serum application are done, apply the face lifting cream onto the face and neck, then gently massage upward until the creams are absorbed perfectly. For those of you who want to try this face lifting cream, you better measure your face first from below ear to the centre of the lips. And notice the difference after 10 minutes! 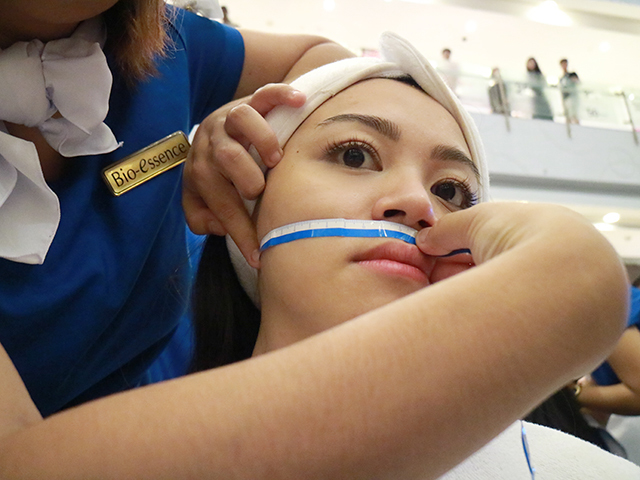 Fyi, my face were shrunk until 0.5cm in the first time trying this product in the Bio-Essence "Mega Face Lift V Face Challenge" at Central Park Mall. 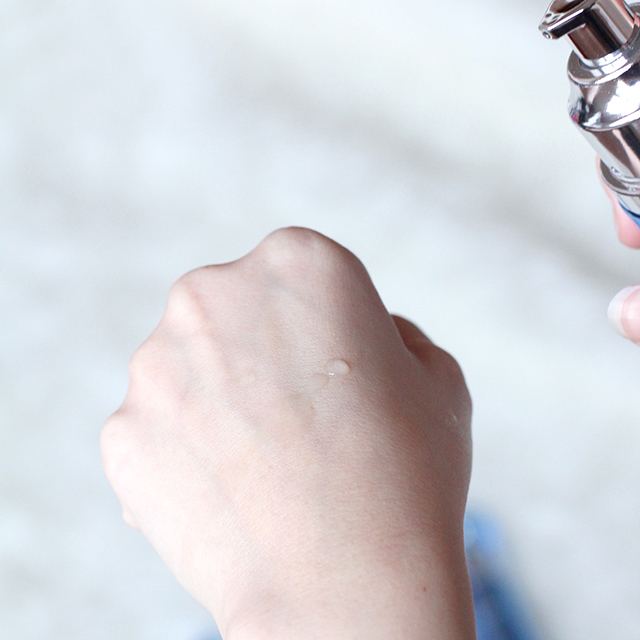 Finally, the last step is to spray this Miracle Bio Oil for a better hydration to the skin. 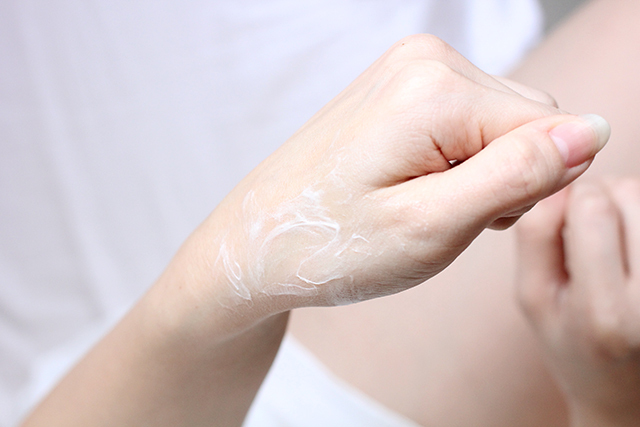 Its dermatologically tested for sensitive skin, so don't worry to apply it in any parts of your body. Even to your hair. Sprayed this product directly into the face/body/hair directly, don't need to shake it in advance. 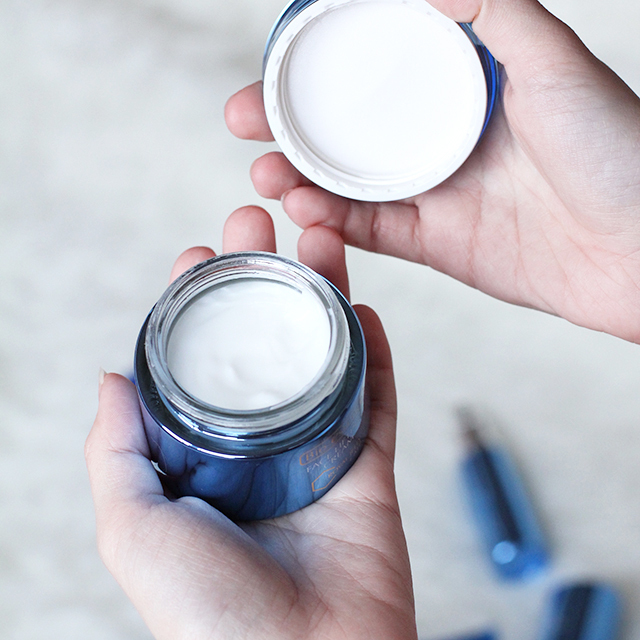 These are the complete steps to get the firm and lifted V face with Bio-Essence. Do it in routine to get the long-term result. Last but not least, pay a visit to Bio-Essence Website or follow their Instagram @bioessenceid for more beauty updates and tips to get the V face. From the last Wednesday, November 23th - I attended Diva Beauty Soirée, 8 Days to Timeless Beauty by Diva with Sociolla and Sociovit. 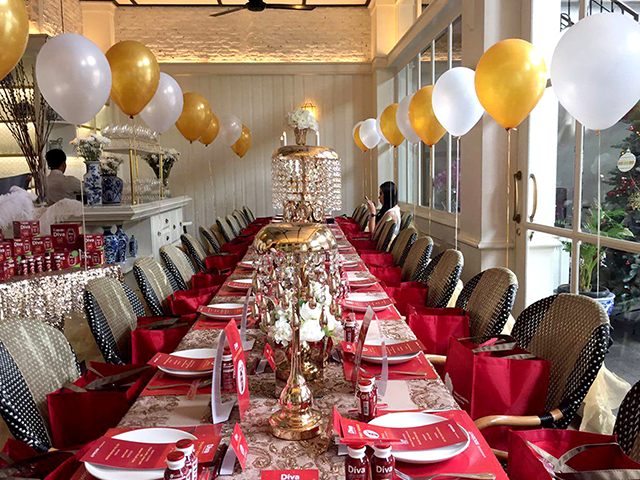 The event's venue was at Blue Jasmine Restaurant, Jakarta Selatan. With the theme in glamorous red and gold, along with all the ladies in white and gold attire. 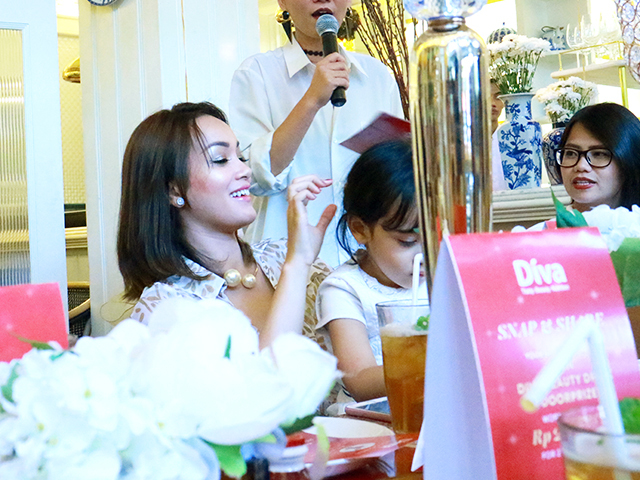 Beside having the beauty bloggers, there were also invitation guests from #DivaBeautyHack contest, and the beautiful mommies Astrid Satwika and Paola Tambunan as the host. The event opened with a little bit introduction of each everyone, while sharing about our own perception of the beauty. For Astrid herself, beauty is to treat her body well. 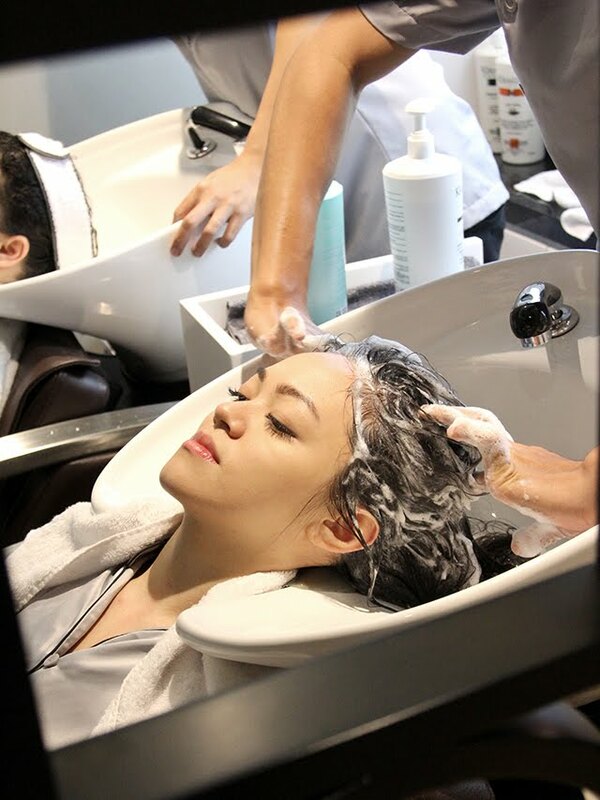 Not only to have her beauty treatment on check or putting the make-up on, but also having a good nutrition to get a flawless skin to look beautiful. While Paola described the beauty as the mindset of happiness. By doing what she loved, she feels happy and it makes women beautiful inside out. 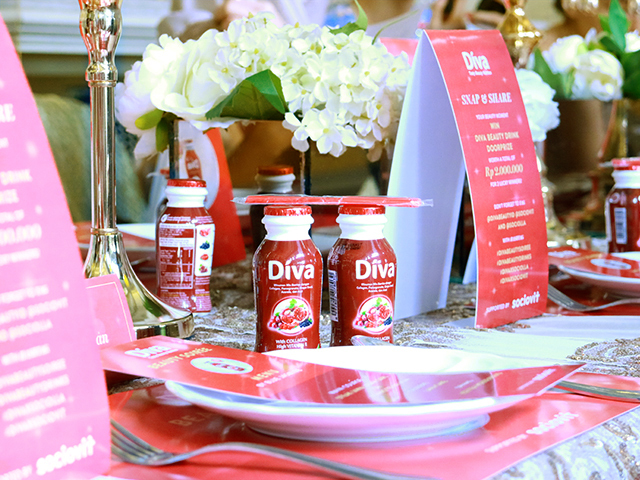 Then, our beauty talk continued with the introduction of Diva Beauty Drink by the brand manager of Diva itself. - It contains 1000mg active collagen and fish elastine that can improve the firm and elasticity of the skin, reduce wrinkles, anti-aging, help to regenerate new skin cells, boost moisture, smooth and clear skin. - This beauty drink also contains superfruits extract, that has most high-content antioxidant fruits including pomegranade, acai, arecola and grape seed, to help the skin from free radical and fight the aging-spot on the skin. - The high amount of Vitamin E, help to fasten the skin cells regeneration for a flawless skin. - Super yummy mixberry taste, with only 35 Kkal per servings and contains a lot of nutritious ingredients for a beauty skin, so it won't make you fat. - Recommended to drink 2 times a day in at least 8 days to notice the result on the skin. 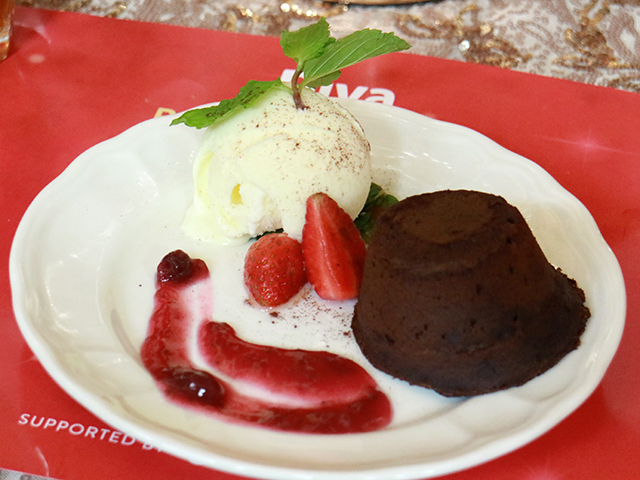 After having a delicious meal and dessert from Blue Jasmine Restaurant, we were going through few challenges with beautiful and fun ladies. 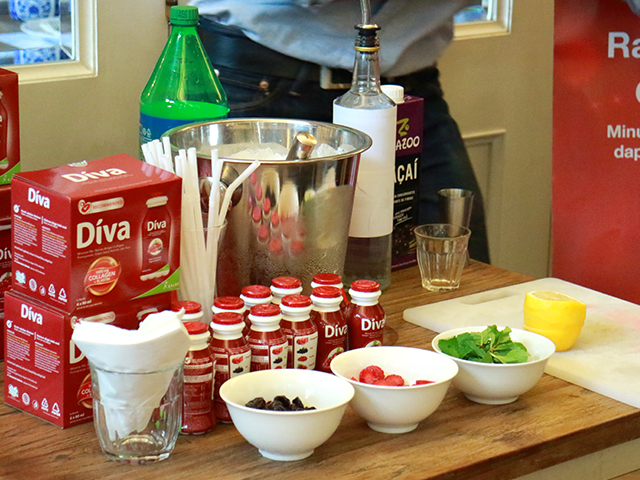 There were also a mini tutorial by the mixologist, on how to make three different nutritious and refreshing drinks recipe using Diva Beauty Drink. 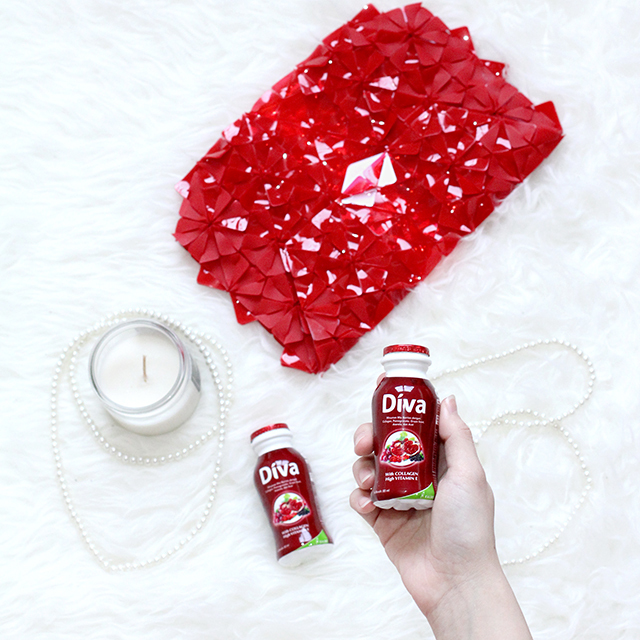 Ingredients: 1/3 orange juice, ice cubes, strawberry slices and a bottle Diva Beauty Drink. Ingredients: Lemon juice, ice cubes, soda, and a bottle Diva Beauty Drink. Mixed well with a shaker. Ingredients: 1/3 apple juice, ice cubes, raspberry, a bottle Diva Beauty Drink and garnished with mint leaves. 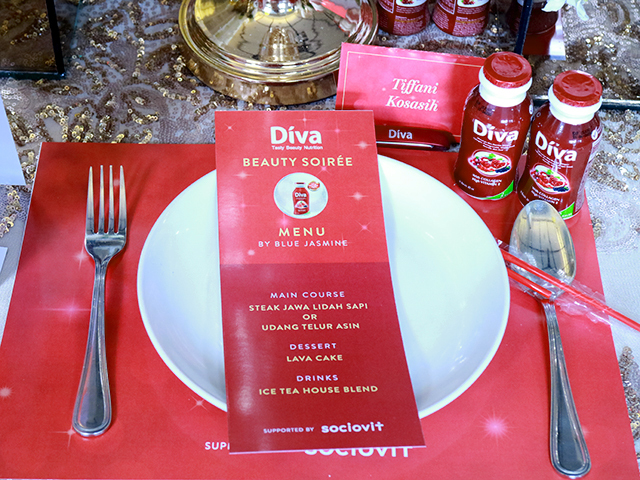 Last but not least, Diva along with Sociolla and Sociovit were nicely given all the guests a whole package including 16 bottles of Diva Beauty Drink for us to try the 8 days to timeless beauty by drinking Diva Beauty Drink 2 times a day. - Even though I rarely apply any body lotion on my skin, but I found that after start drinking Diva Beauty Drink, my skin is getting clear and smooth. - I feel so much refreshed and healthier, no more fatigue anymore. - It works for my digestion and my period goes very well too. 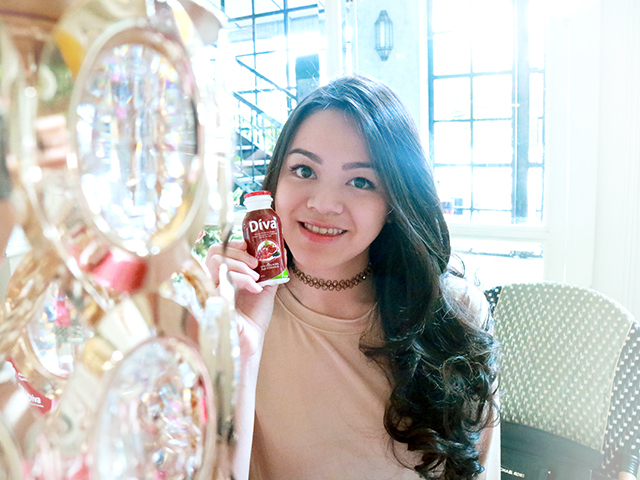 If you are interested to try the wonder of this Diva Beauty Drink, you can get it from Sociovit. 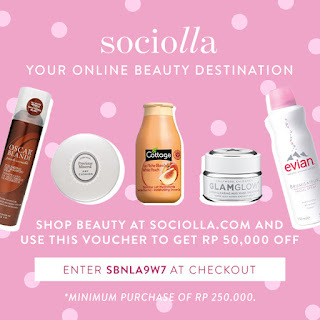 Don't forget to follow Instagram @divabeautyid @Sociolla @Sociovit for more about beauty updates and special promotions. 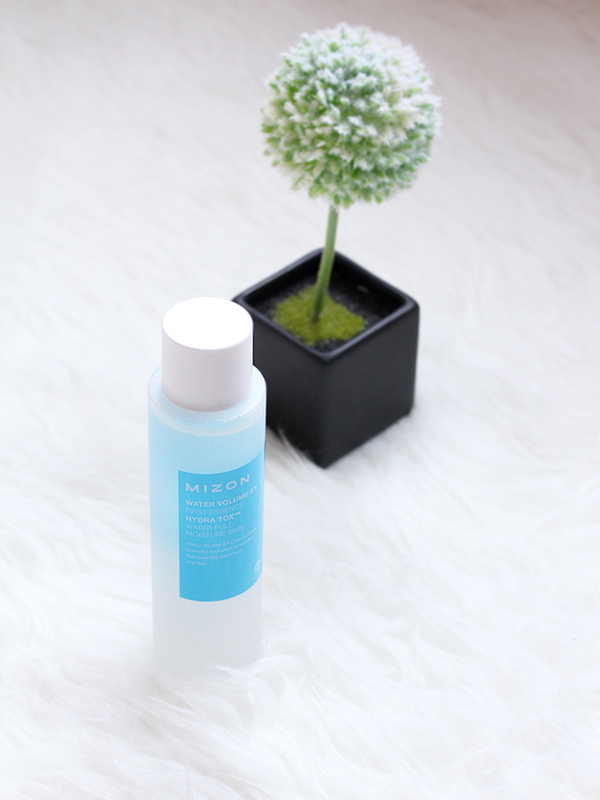 Since I've been eying on Korean skincare products lately, lucky that I received the Mizon Water Volume EX First Essence from Elsyoung. 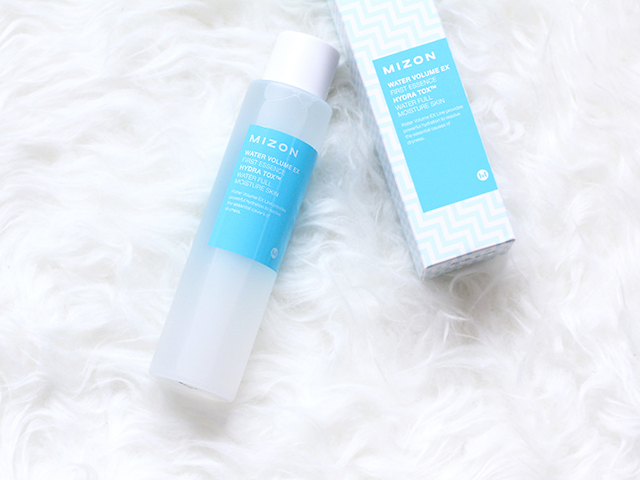 Actually I knew Mizon skincare for a while, they are the pioneer of the latest, most effective and the most extraordinary ingredients in skin care product. Just name it, starfish extract, snail secretion filtrate, egg white, and the other super-scientific compounds found in most of their product. 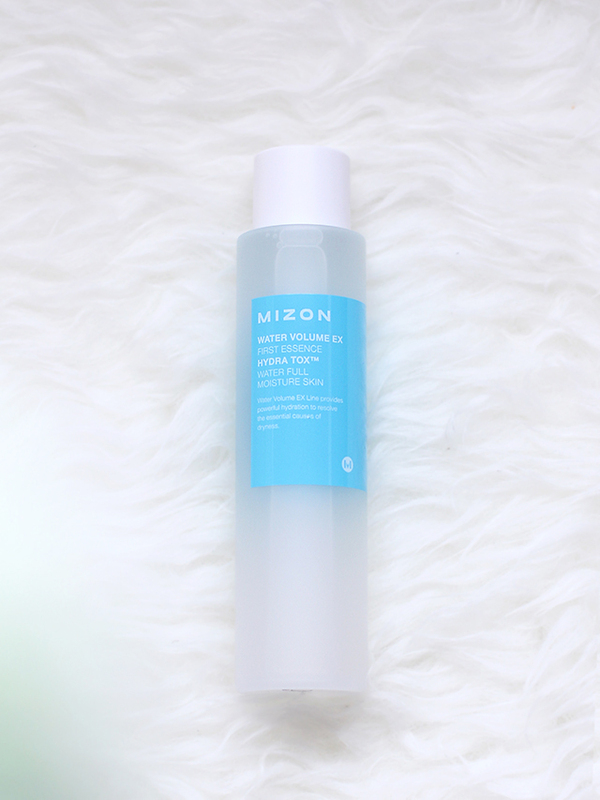 This time I got to try Mizon Water Volume EX First Essence, its a hydrating essence formulated with special ingredients including snow algae extract that calms and hydrates the skin. It also uses Hydra Tox technology, as the advanced and unique 'technology' to Mison - which activates the skin's natural moisture barrier. 2. Then spread throughout my face with patting motion, instead of rubbing. - I love the smell, its very soothing and refreshing. 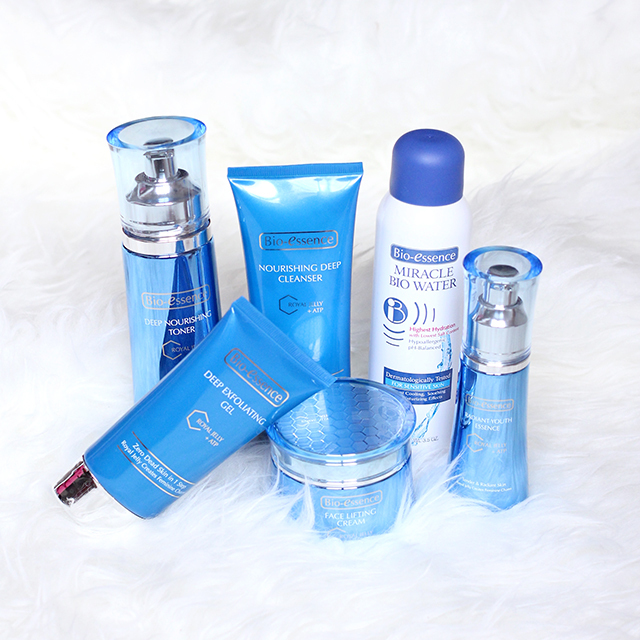 - Simple and sleek design with blue ocean and frosted glass packaging. - The texture is watery and lightweight, makes the product absorbs perfectly onto the skin, leaving my skin smooth and clean. - Such a great addition to my skincare routine, since it really help to prep the skin for a better absorption of the later product. - After using this for a week, twice a day every daytime and nighttime, I notice a huge different in my skin texture, it enhance the moisture and makes my skin looking a lot brighter and healthier. - Affordable price for such a high quality product. You can get this product at Elysyoung for IDR 30.000 less by dropping some comment/testimonials in their mainsite. Don't forget to follow and check their Instagram @Elysyoung for more updates and special promotions. Since I've been so busy and tired lately, unbalance hormone plus bad pollution caused my hair were getting worse. 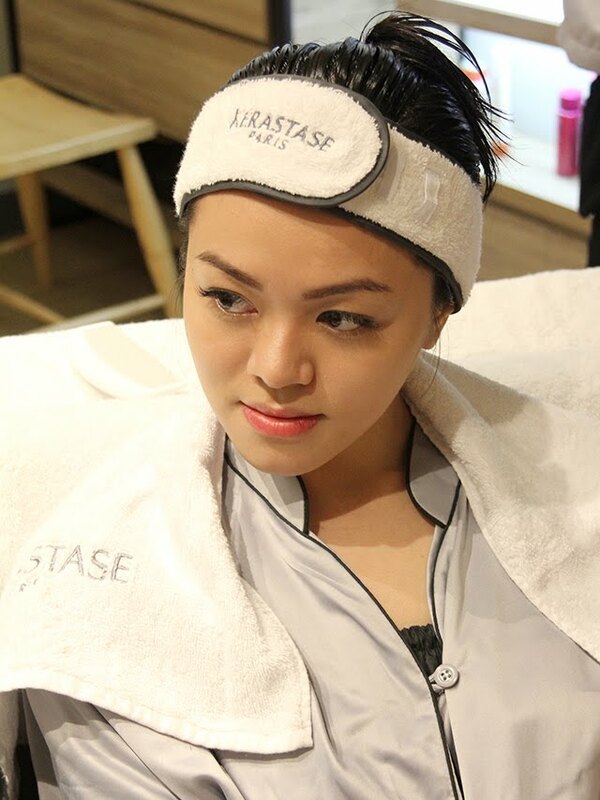 Luckily I got a privilege to try Kérastase Treatment at Irwan Team Hair Design, PIK Avenue Mall. This is actually my first time doing a Kérastase Treament. 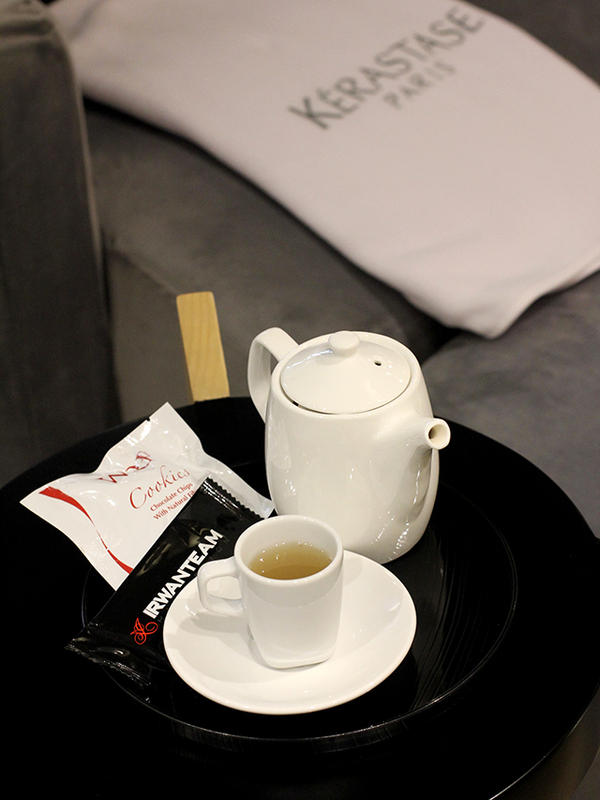 When I came in, one of the staff was nicely greeted me and lead me to the Kerastase special lounge at the upper level of Irwan Team Hair Design Saloon. 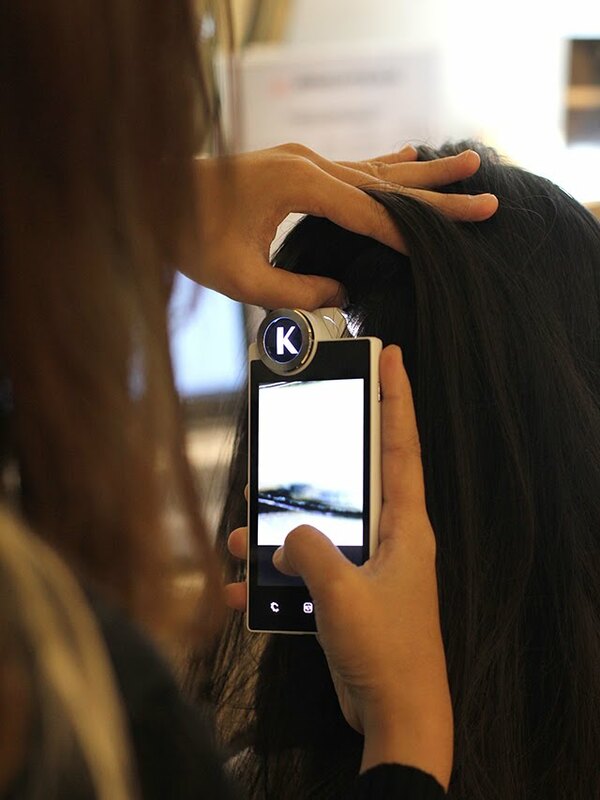 Then we did a hair-analyzing using a special Kérastase hair-analyticator to find out what's my current hair problems. The hair-analyticator shown that I have a little bit oily scalp and dandruffs at the back part. So my hair consultant was recommend me to do Scalp Rejuvenating Ritual to reduce oil and dandruffs on the scalp while strengthen the hair-roots. First thing first, my hairdresser was applying Kérastase Specifique Peeling Purifant all over my scalps. It used for deep cleansing my scalp from the dirts, sebum and dandruffs. Also applied along with sprayed water to make it wet, with some massage too - to make the product absorbed well. Meanwhile, Irwan Team Hair Design also serves variety of drinks. I had my ginger tea to relax and warmth my body. While waiting for the product absorbed maximally in about 20 minutes, I got a hot stone massage for foot, hand and back, complete with aromatic massage oil that I can choose ranges from jasmine, lavender, green tea, coconut lemon, vanilla, etc. And I choose Lavender, which recommended to give the extra relax and soothing sensation. After that, its time to steam my hair using Micro Mist in approximately 10-15 minutes. 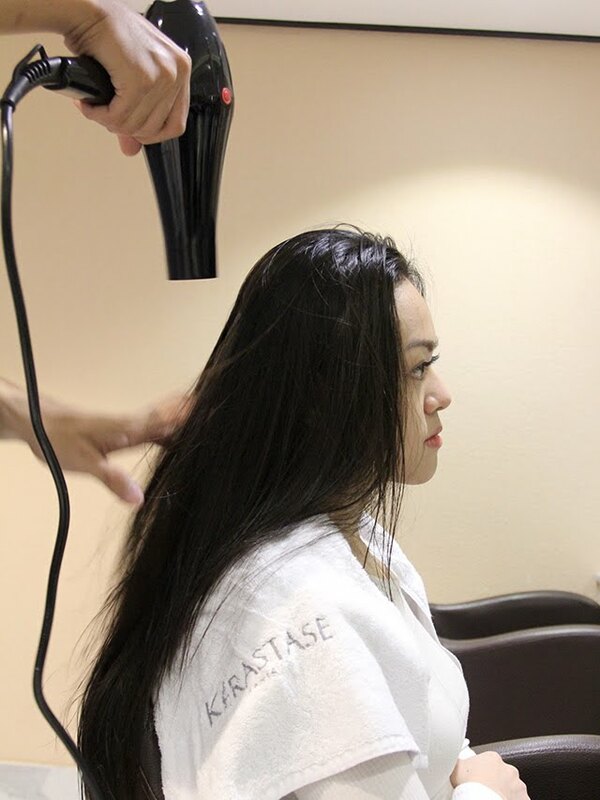 Micro Mist is the latest hair-treatment equipment that can produce the ozone, to rejuvenate the hair for the healthy and shiny hair. Finally, its time to rinse my hair. 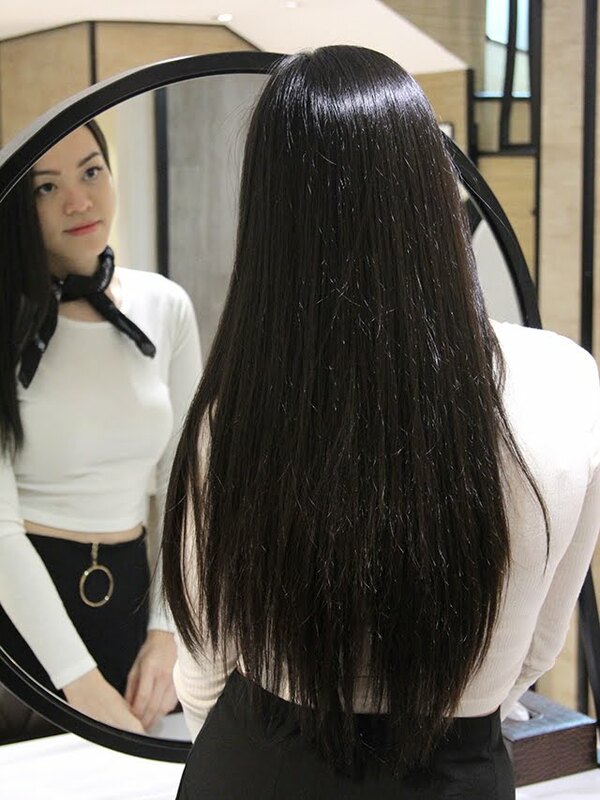 The products used were Kerastase Specifique Bain Divalent Balancing Shampoo and Kerastase Nutritive Lait Vital Conditioner - Its chosen suit to my hair problems which is oily scalp with dry and brittle hair-ends. 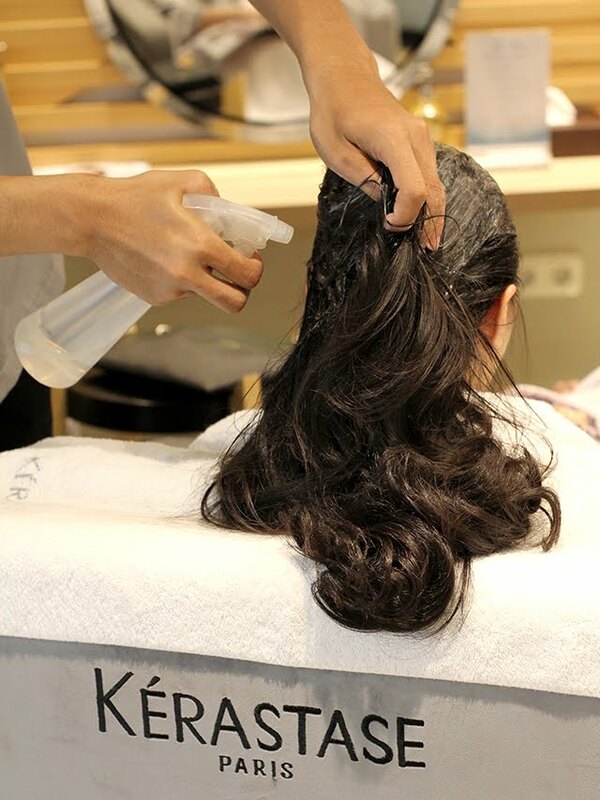 My Scalp Rejuvenating Ritual ended with blow-dry using Kérastase Specifique Dermo-Calm Serum Sensidote. I can feel my scalp totally clean and my hair feels really soft and smooth! 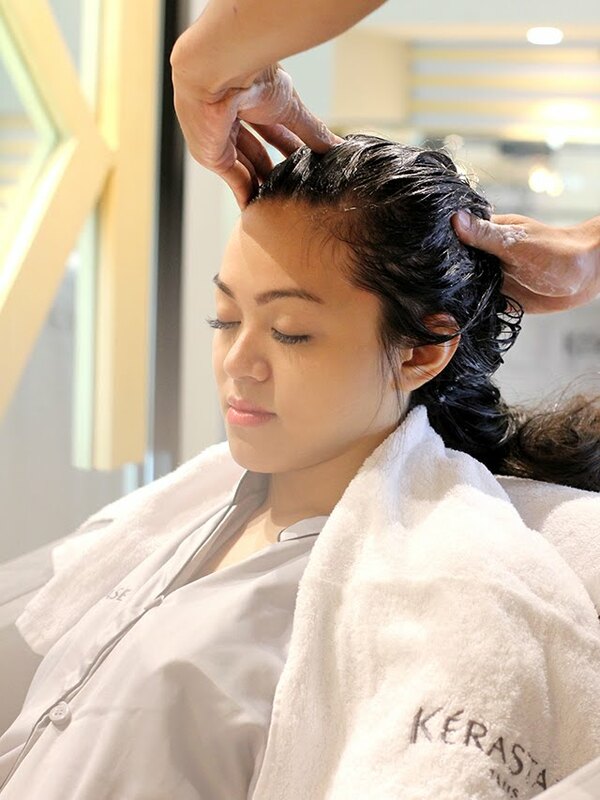 This is truly the best hair-treatment I had so far. Once again thank you Irwan Team Hair Design and Clozette Indonesia. - The place is super cozy and relaxing, with music and comfy chair. - Great service with professional hairdresser and masseur. 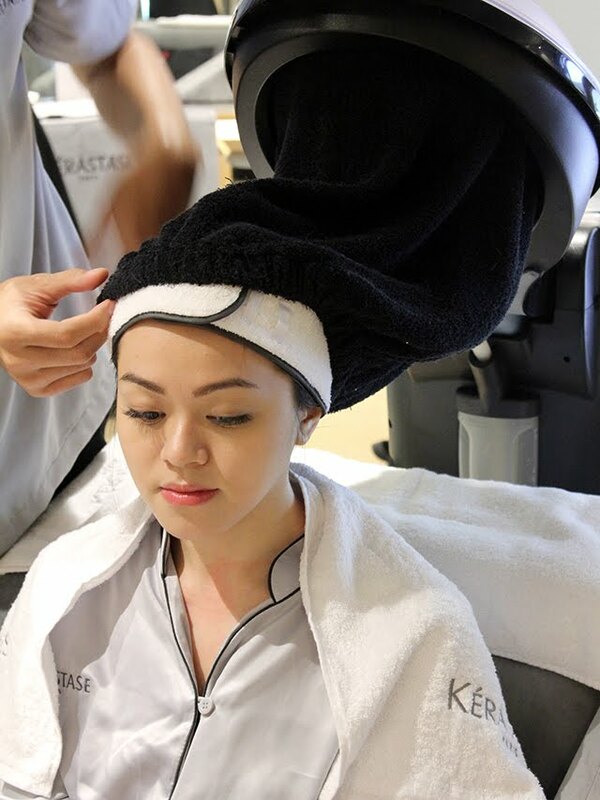 - With amount of IDR 500.000, for me its really worth it to get the best hair-treatment using Kérastase product that I can customized suit to my hair problems. Plus a quality session of hot stone aromatic massage too. If you have anything in mind, just leave me some comments on the comment box below. Don't forget to check out @Irwanteamhairdesign for more updates and special promotion.